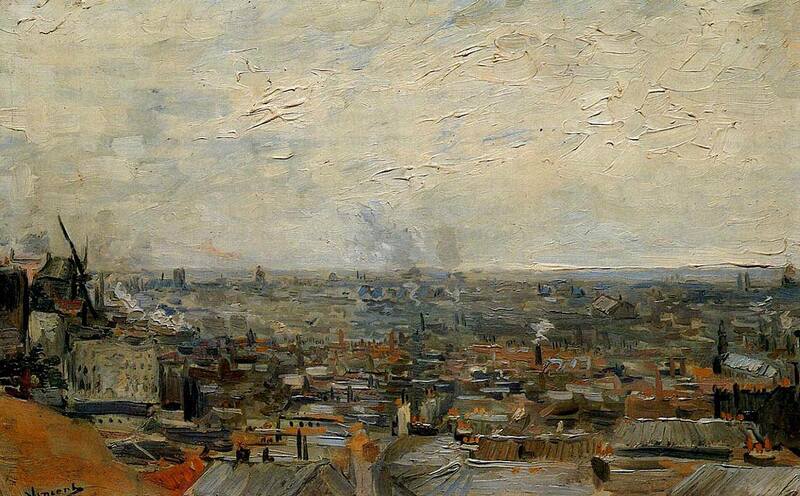 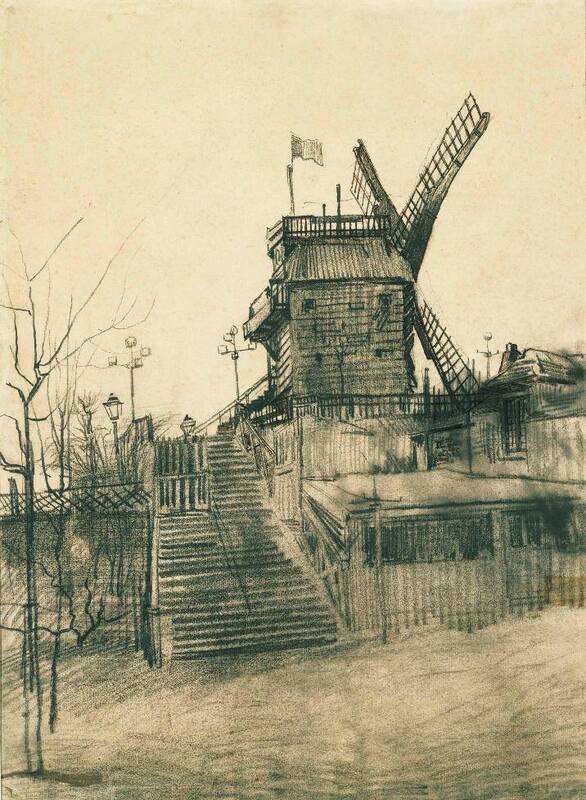 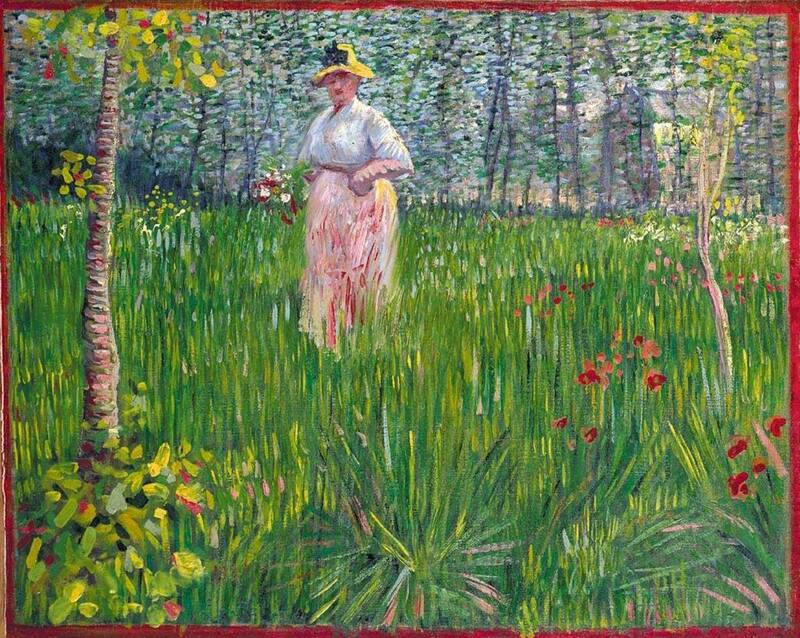 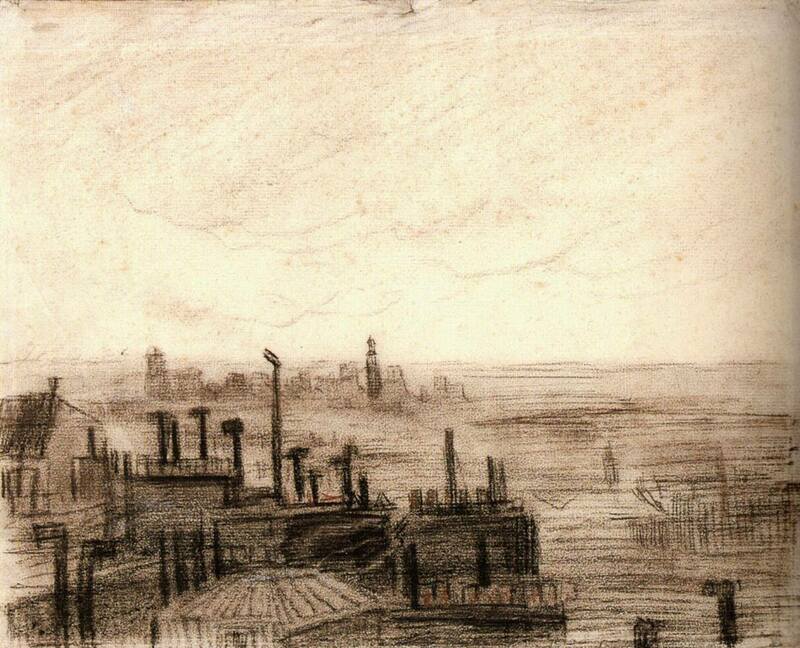 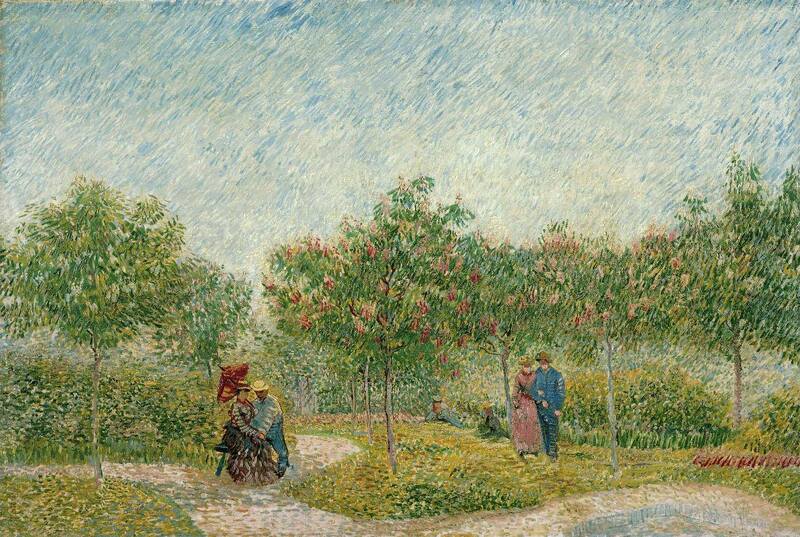 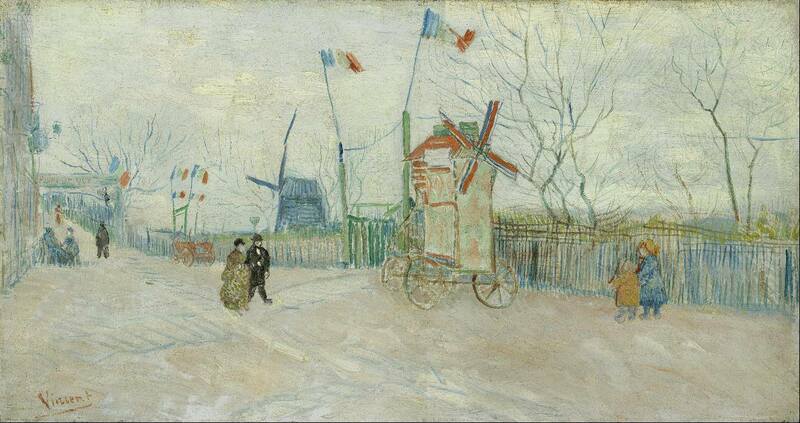 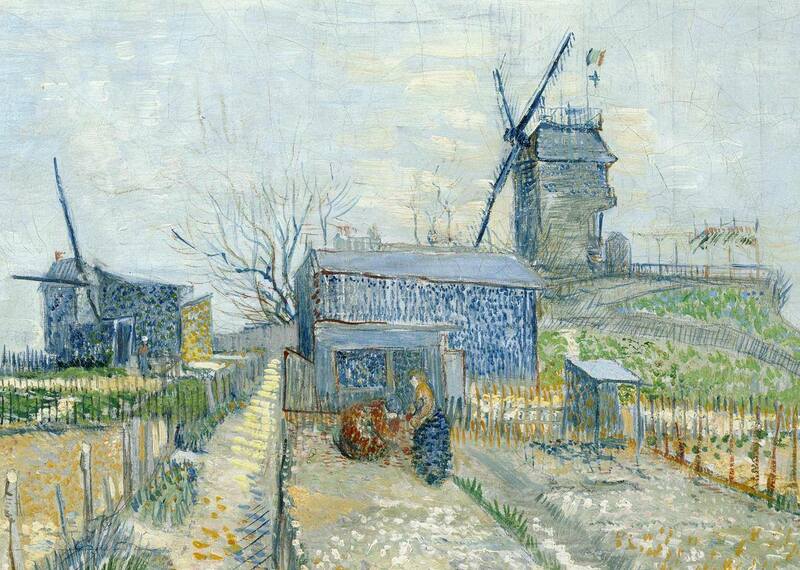 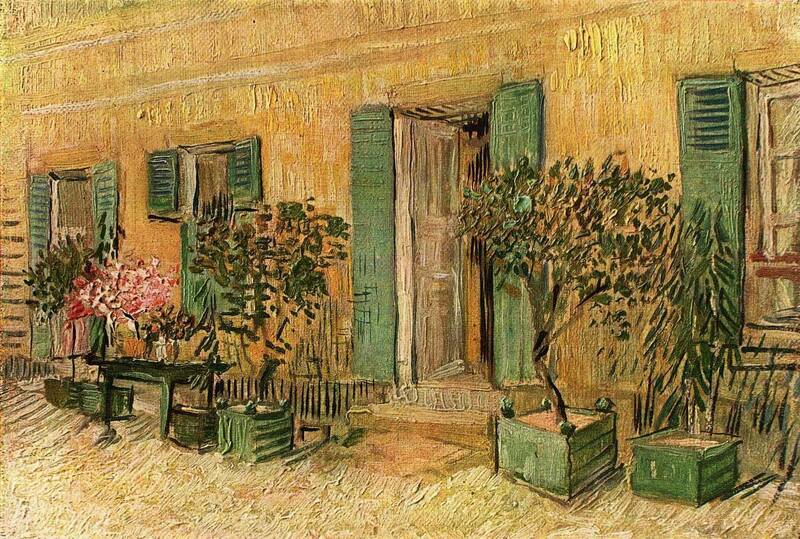 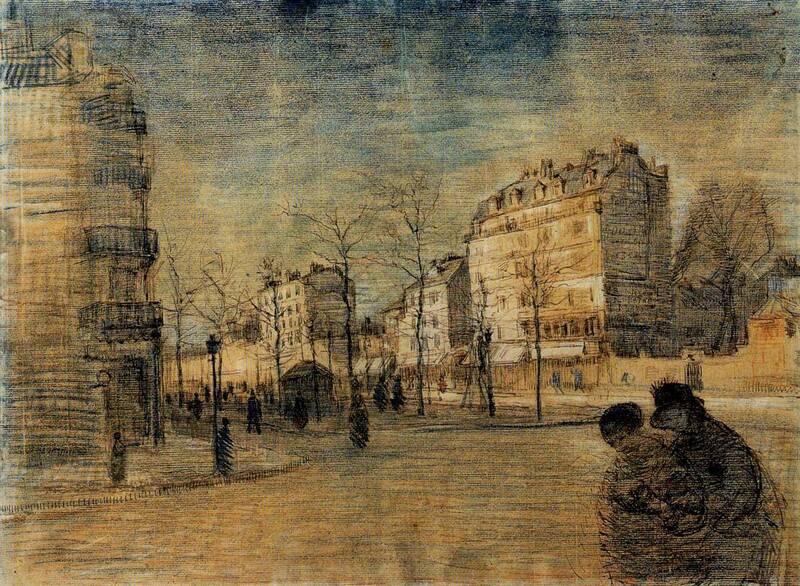 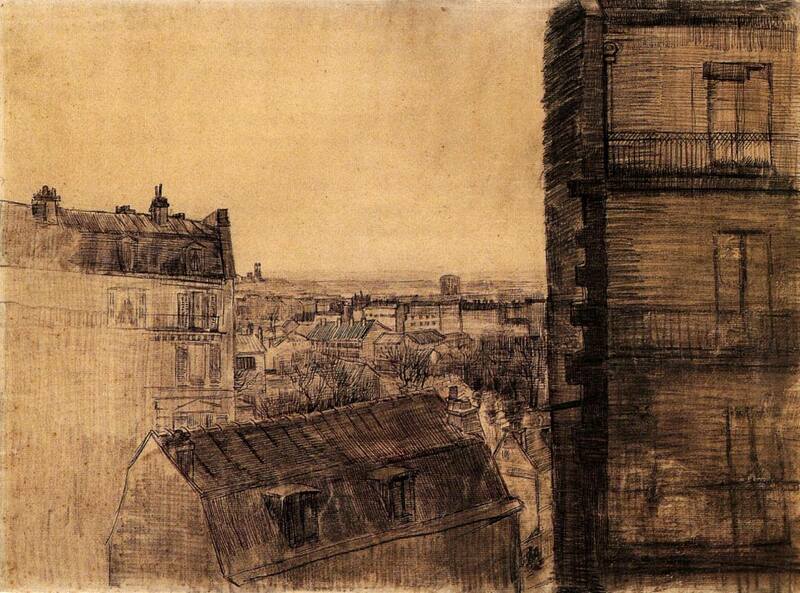 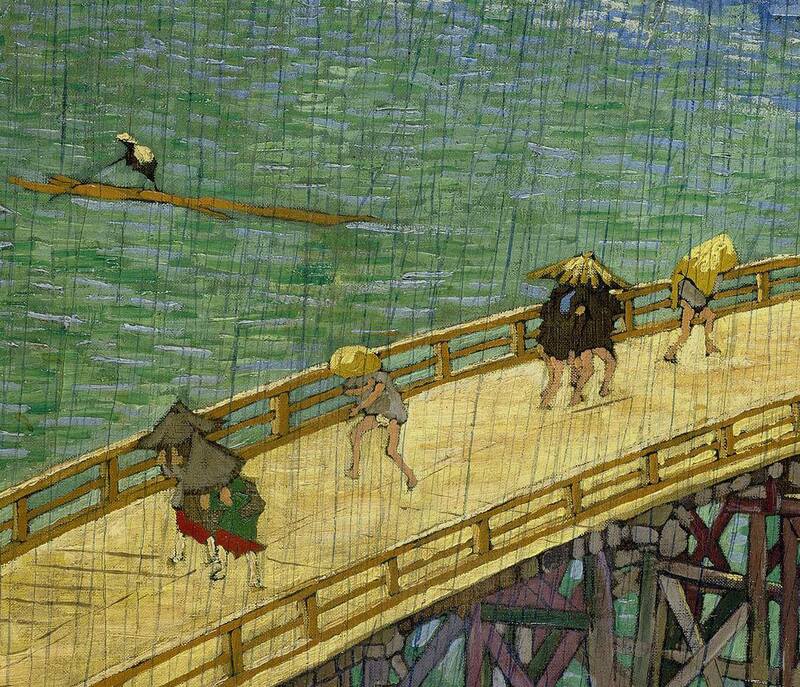 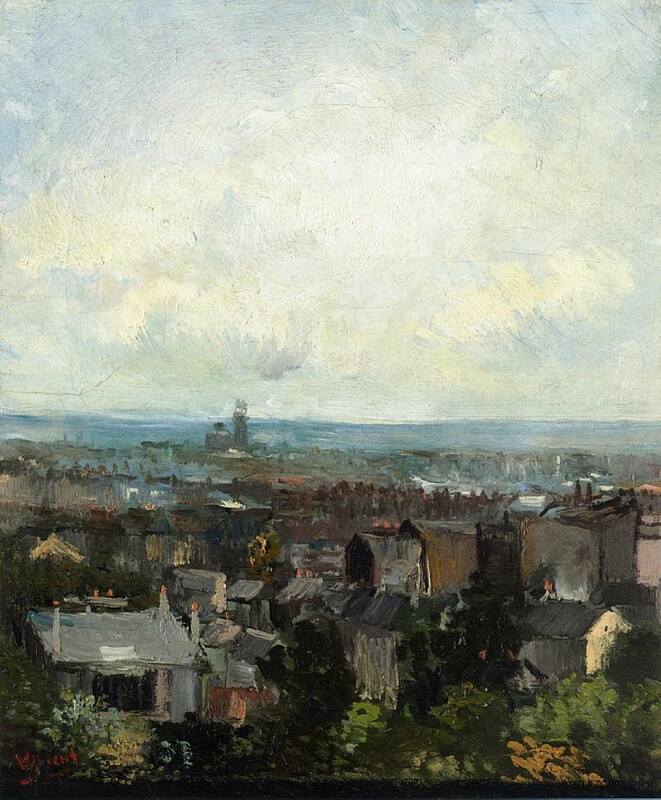 Vincent made his first visit to Paris in May 1873. 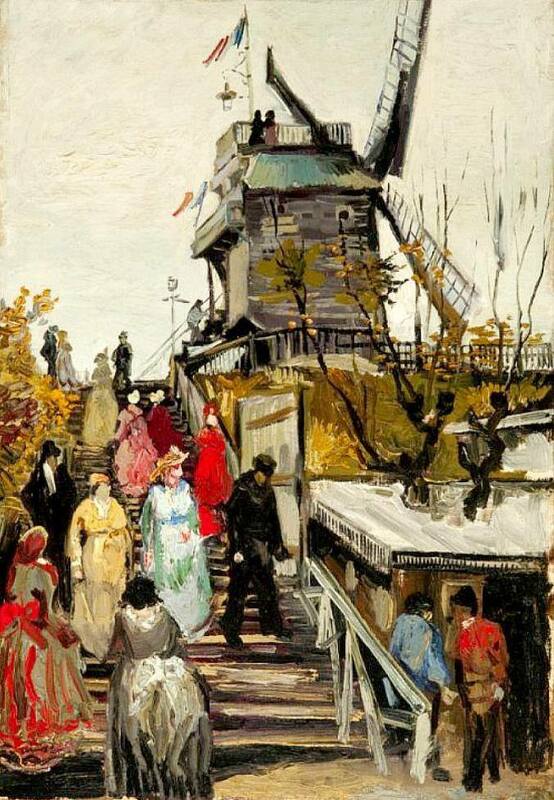 He spent a few days in the city, visiting museums and the headquarters of his employers, the international art dealers Goupil and Cie. 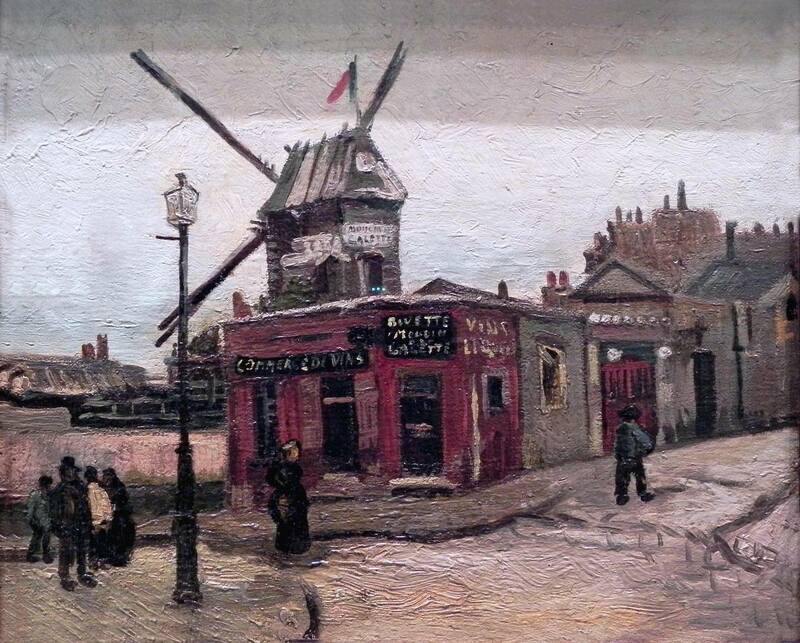 He then left for England to work in the firm’s London branch. 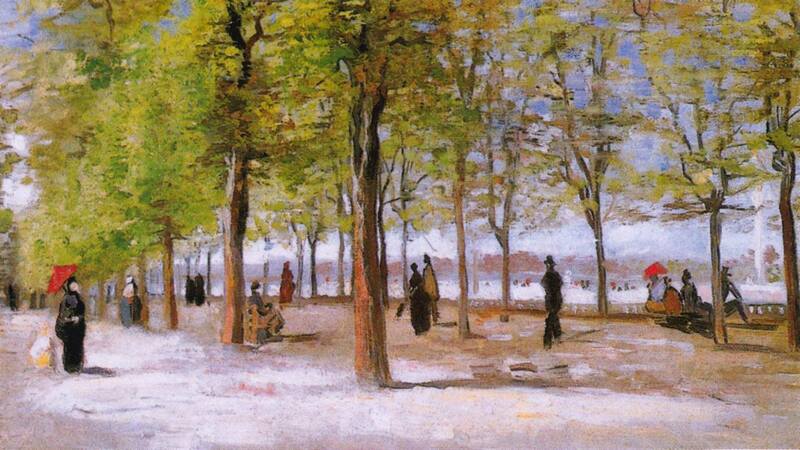 In autumn 1874, Goupil transferred him from London to Paris for two months. 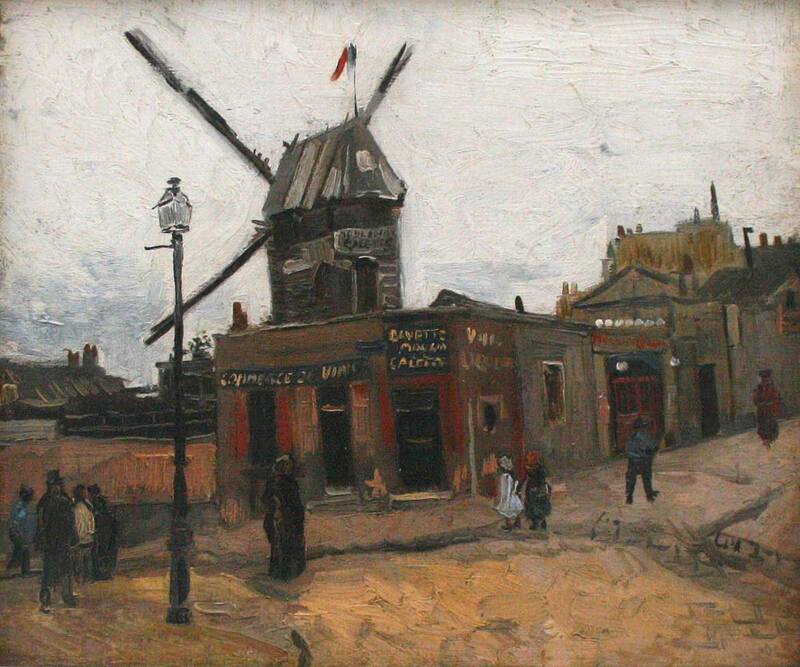 A permanent transfer followed in May 1875. 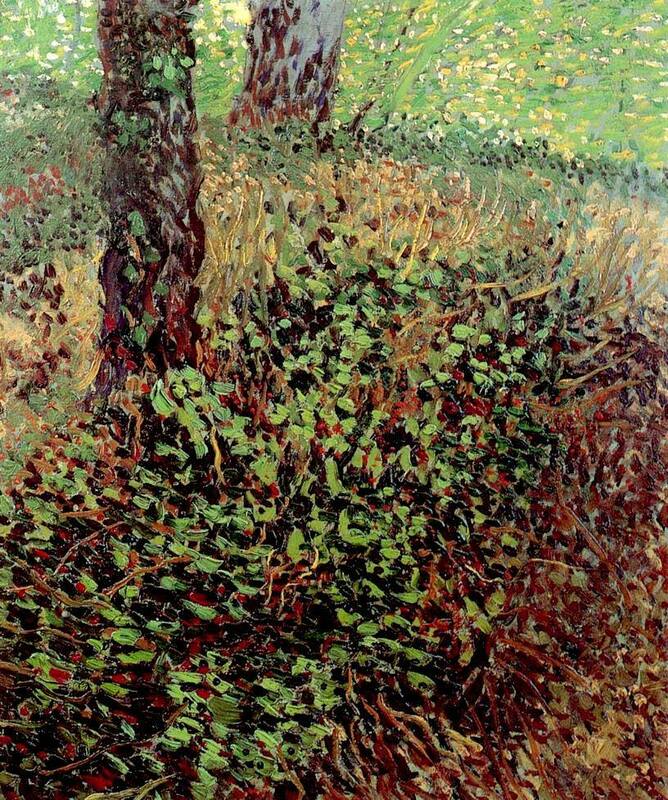 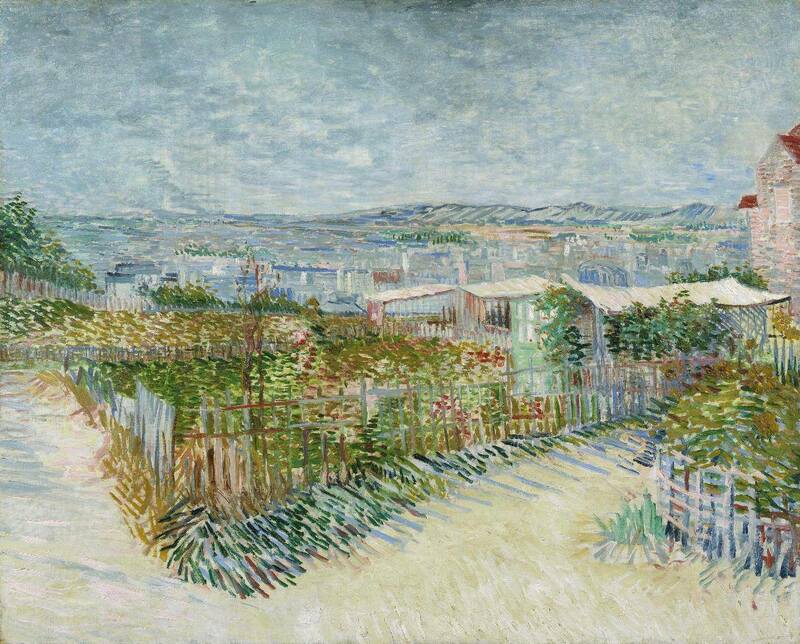 Vincent worked in Goupil and Cie’s headquarters each day and lived in a small rented room at an unknown address in Montmartre. 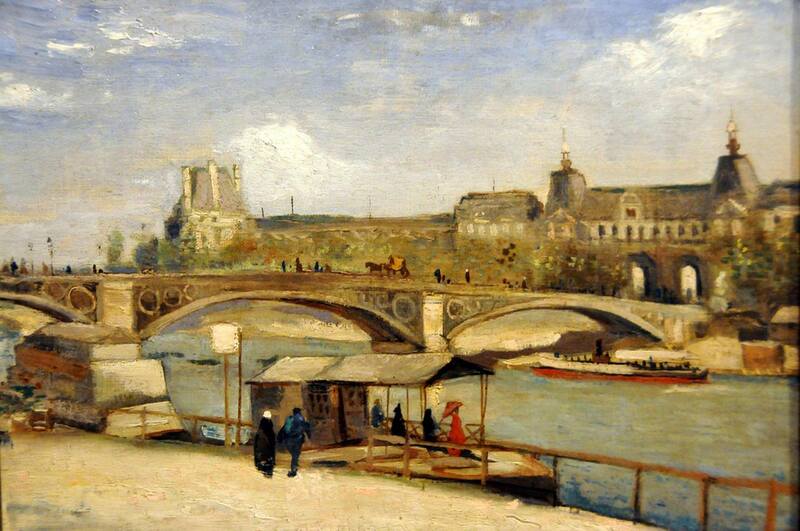 He became friends with the Englishman Harry Gladwell, who lived in the same apartment. 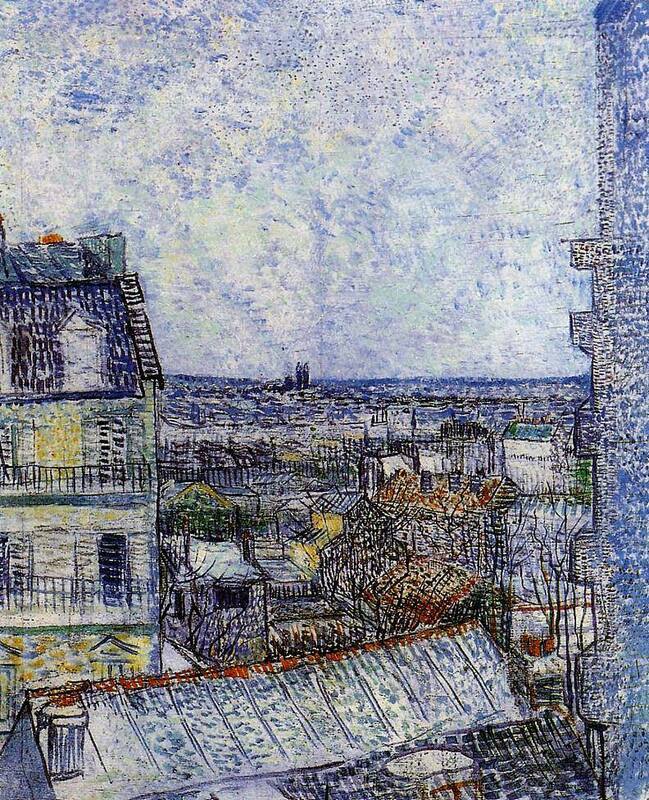 Vincent had become increasingly fanatical about religion, and he read the Bible aloud to Gladwell and roamed from church to church on Sundays, attending services across Paris from early morning until evening. 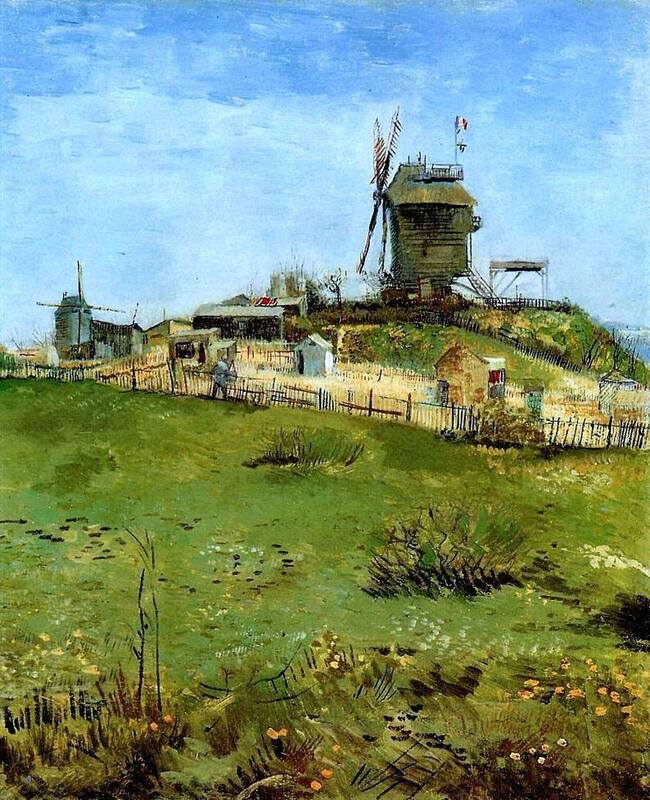 He and Gladwell also made weekly visits to museums such as the Louvre and Musée du Luxembourg. 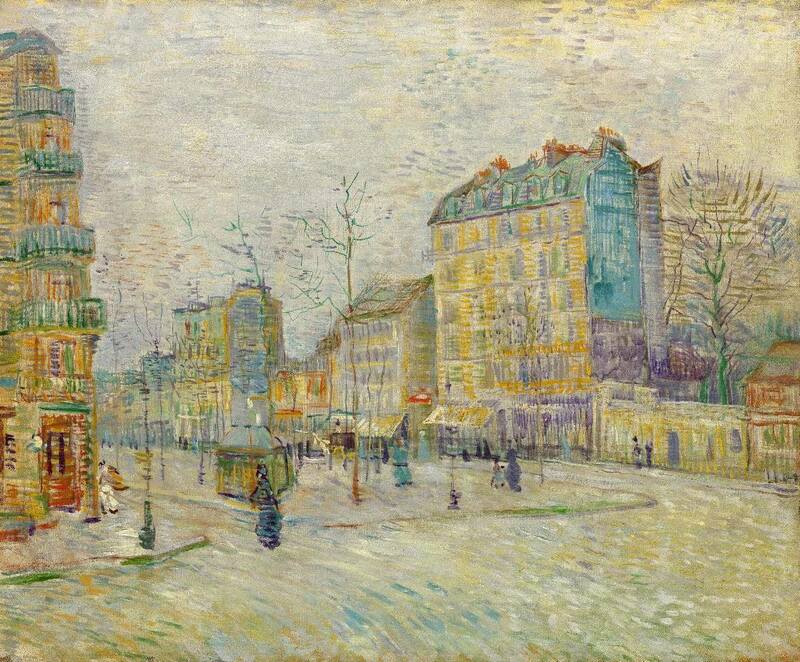 It was in Paris that Vincent's career in the art trade ended. 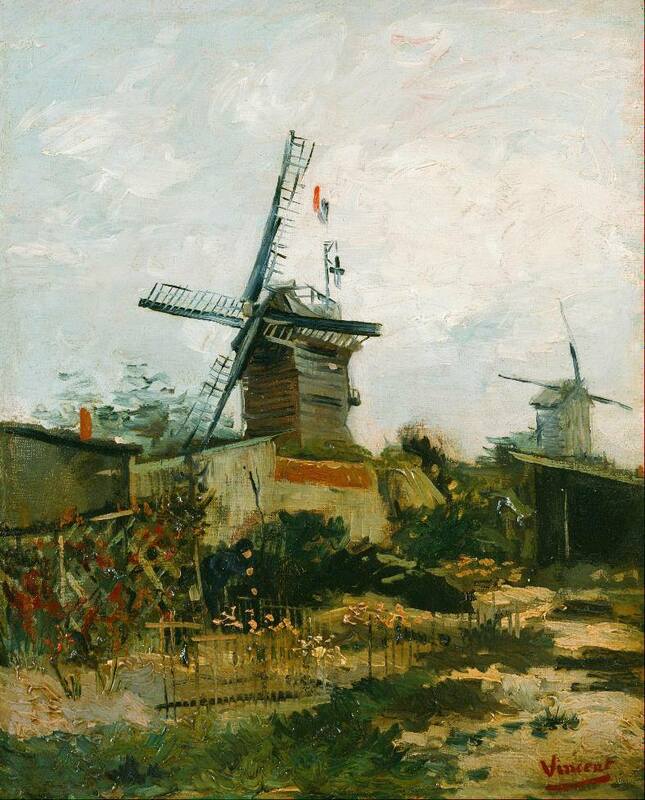 Goupil dismissed him on 1 April 1876, officially because of an unannounced absence during the Christmas rush, but his none-too-friendly attitude to clients must have played a part. 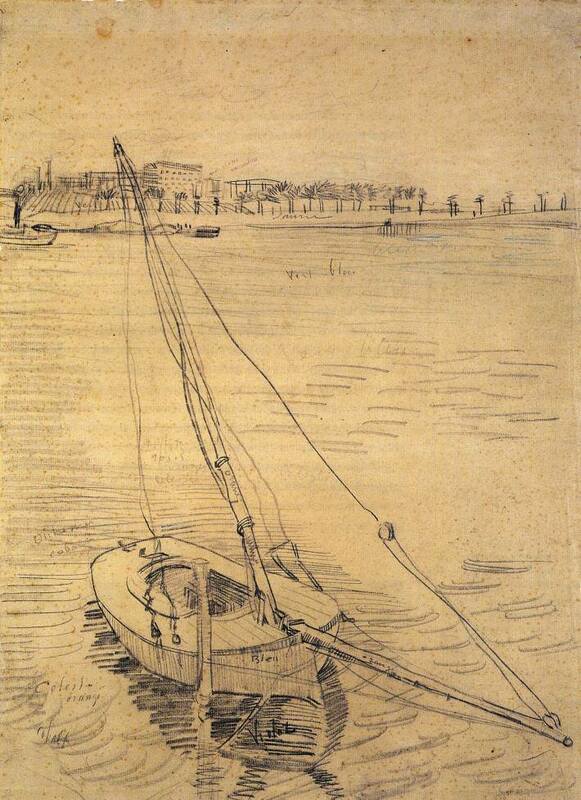 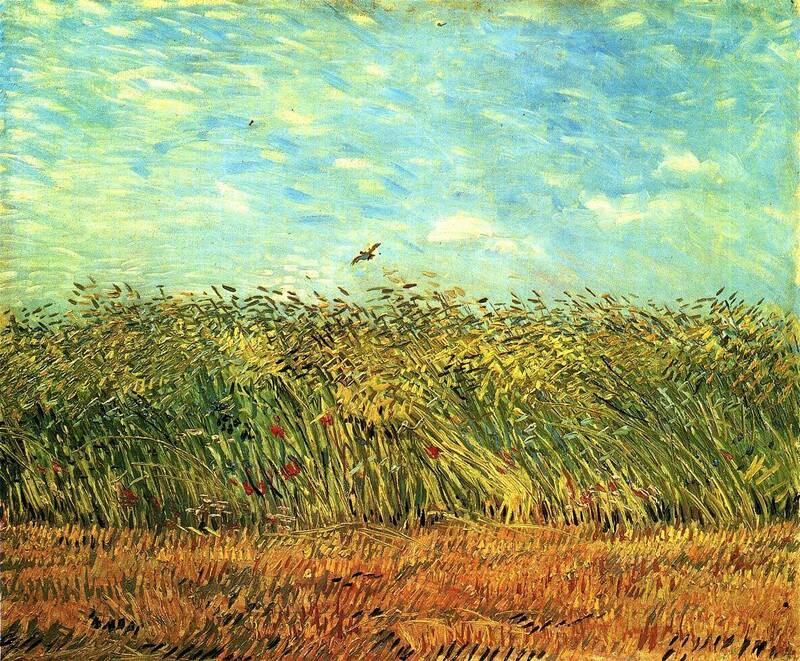 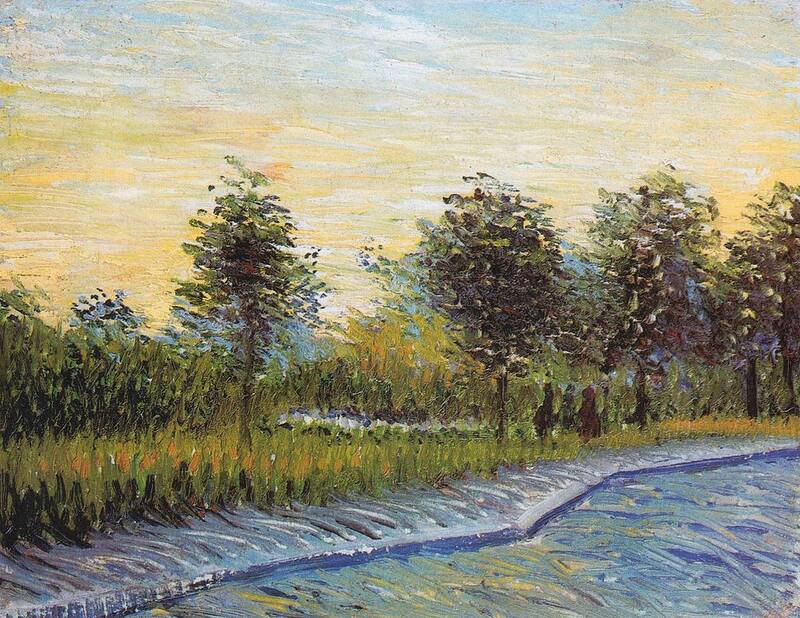 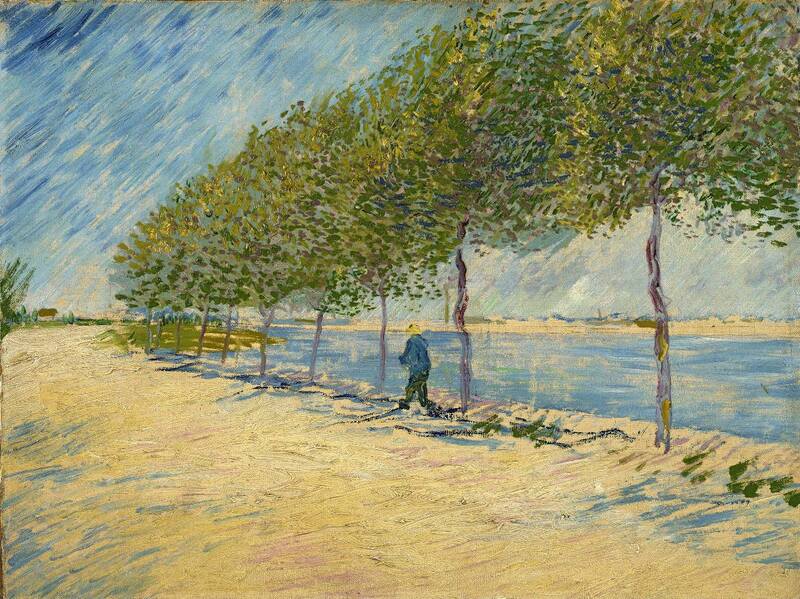 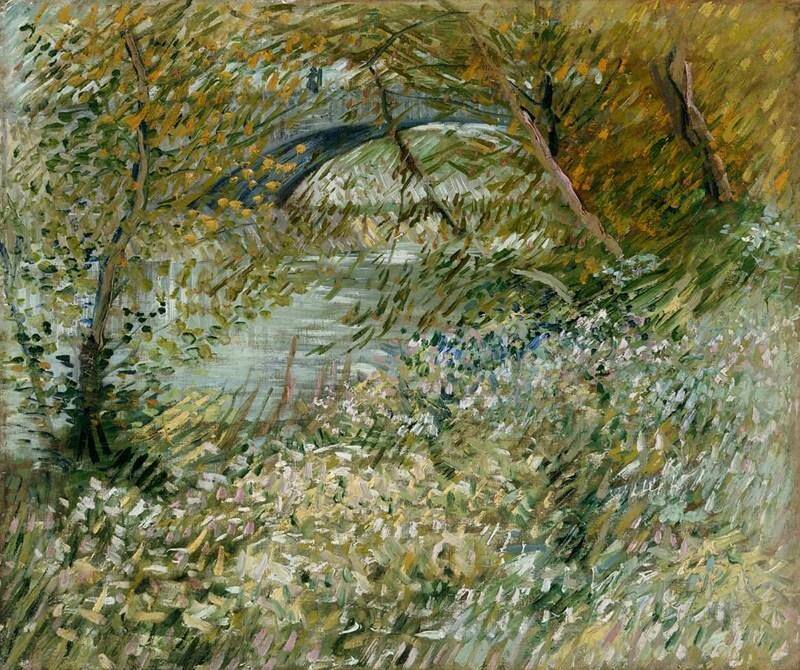 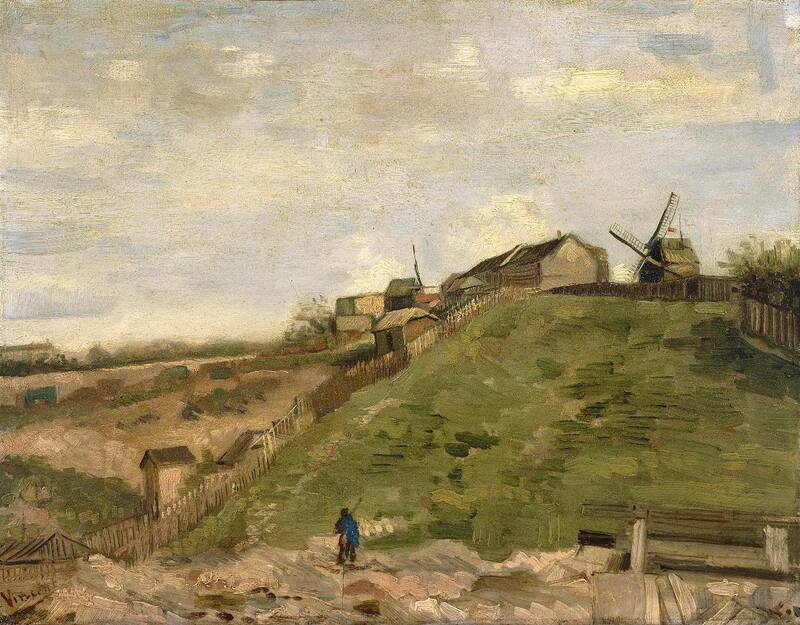 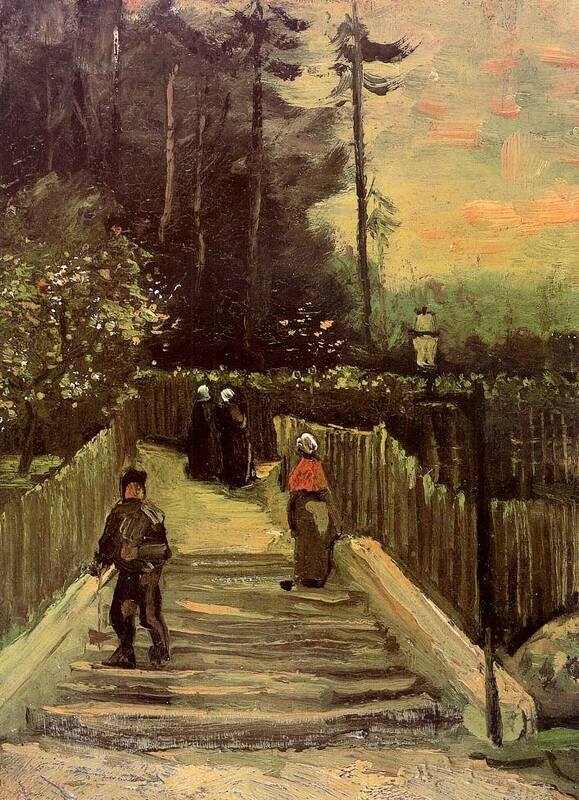 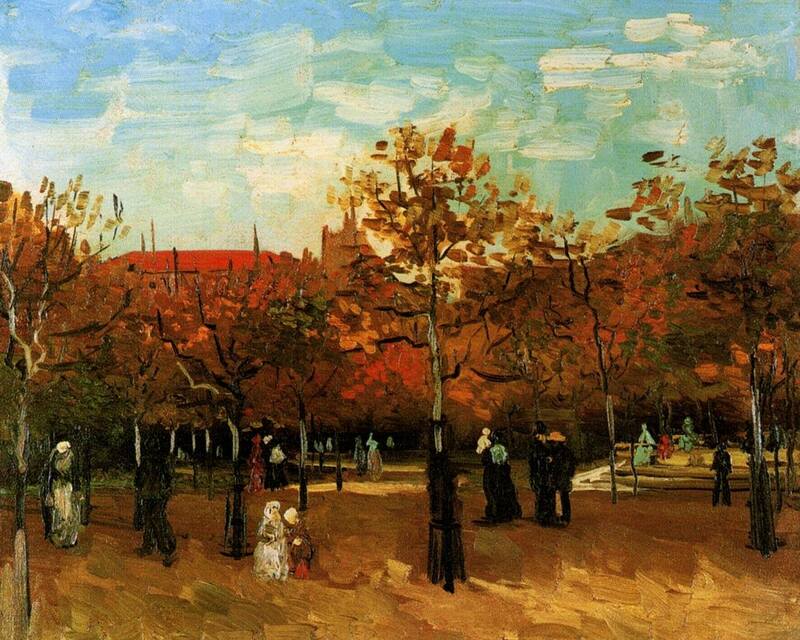 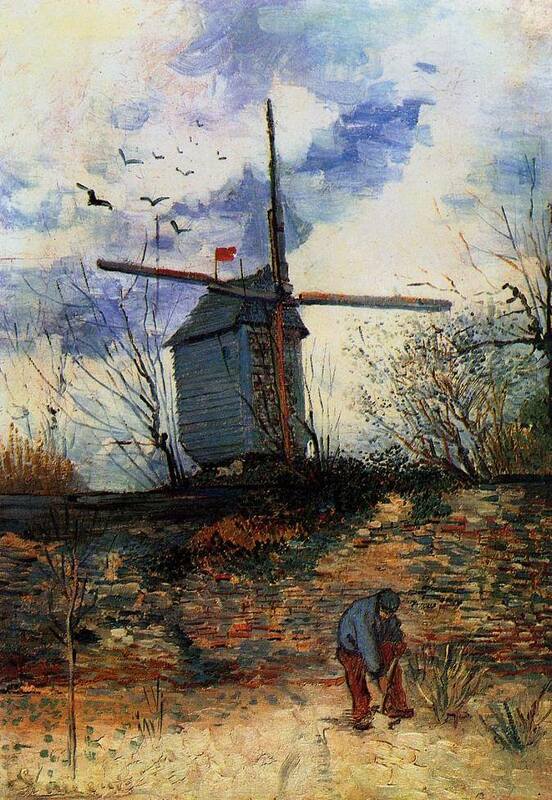 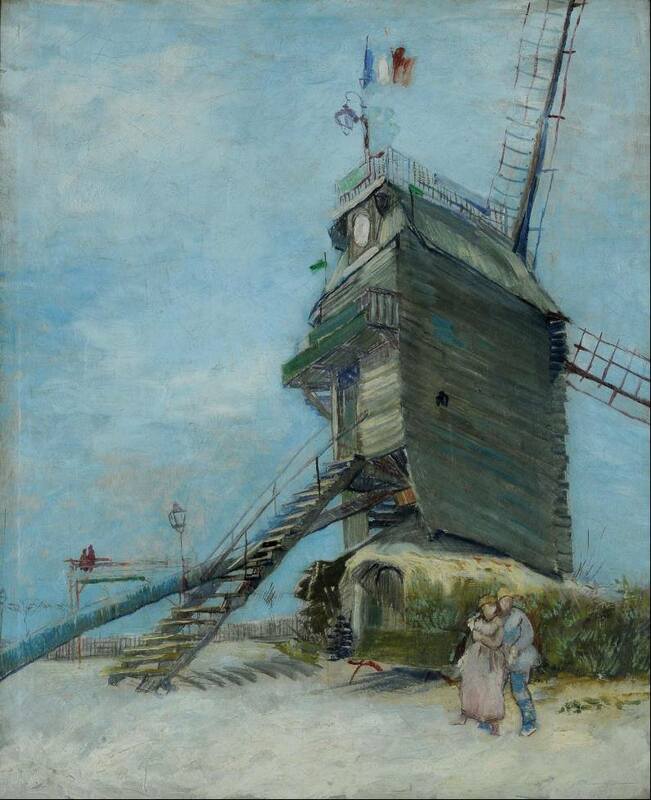 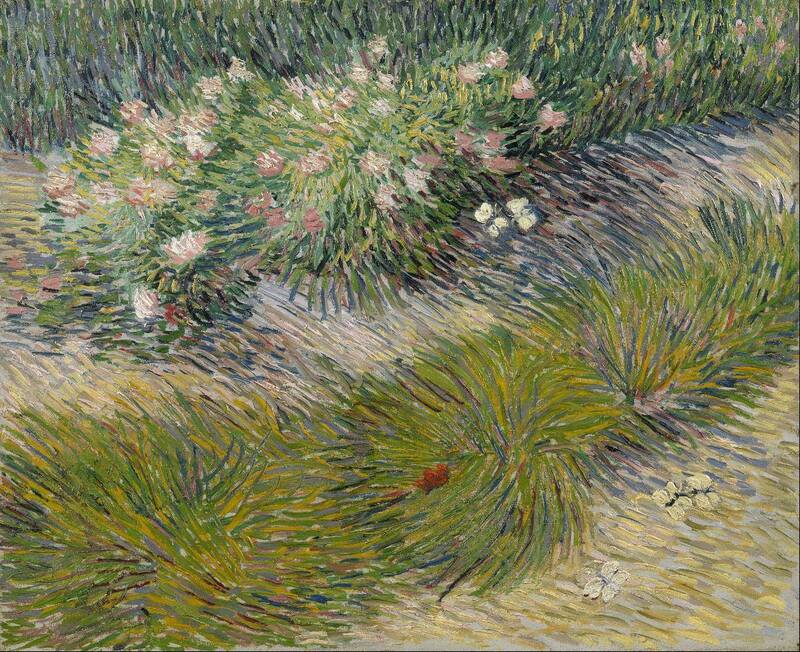 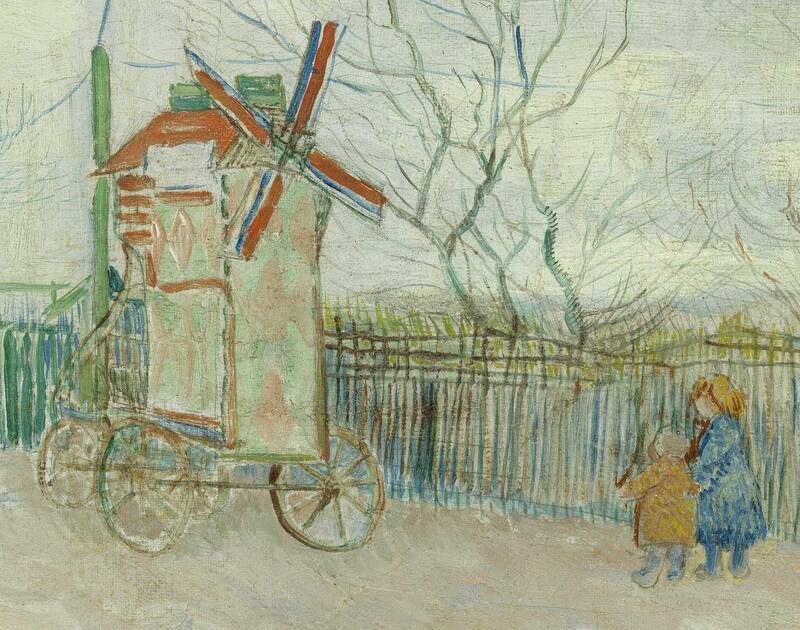 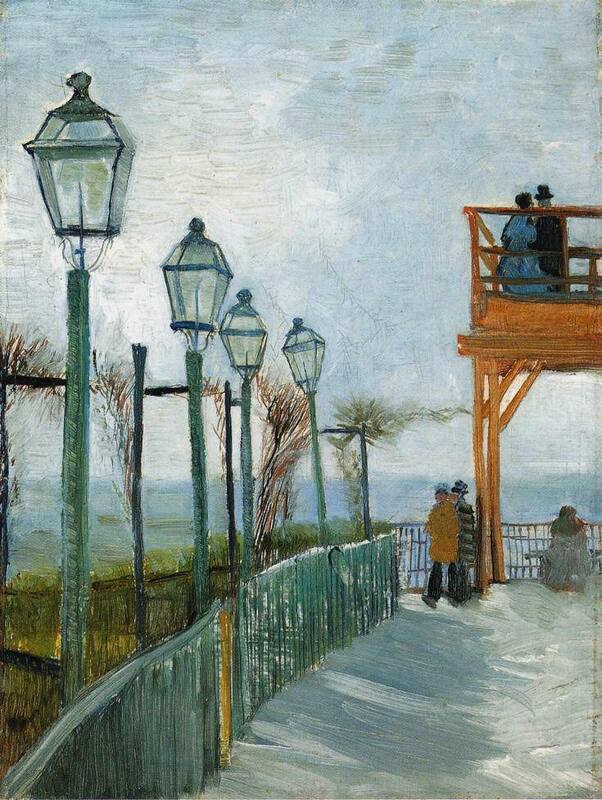 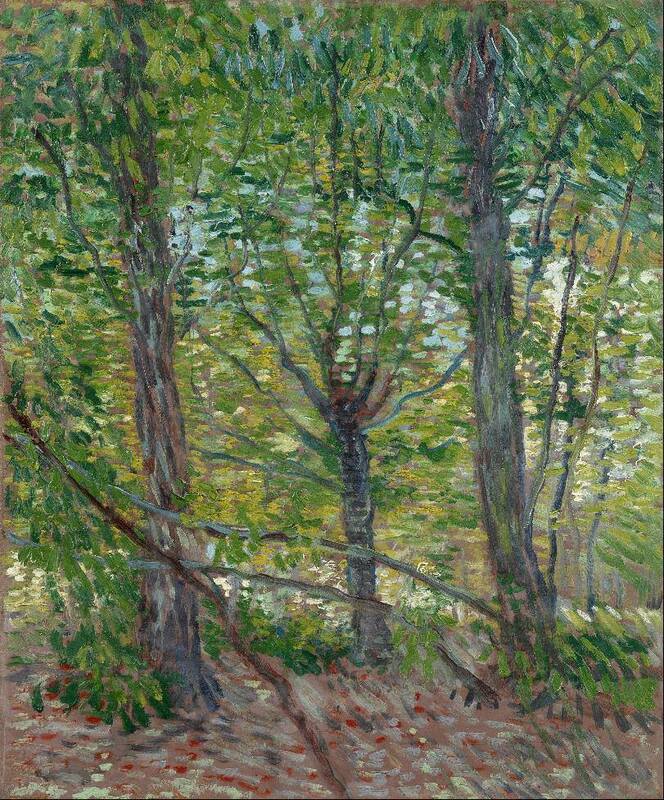 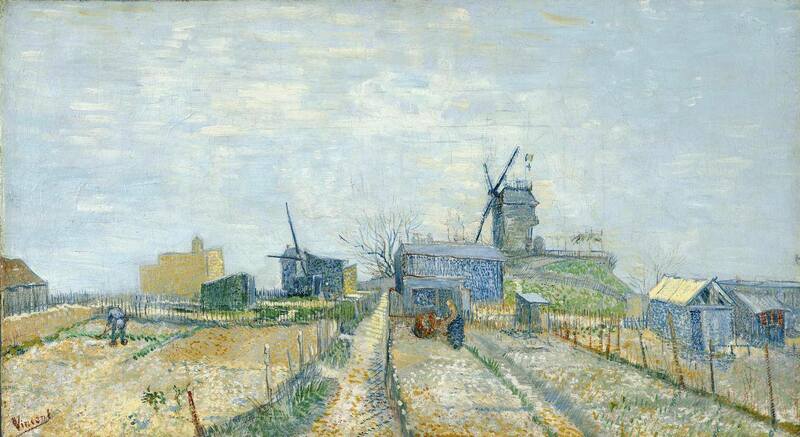 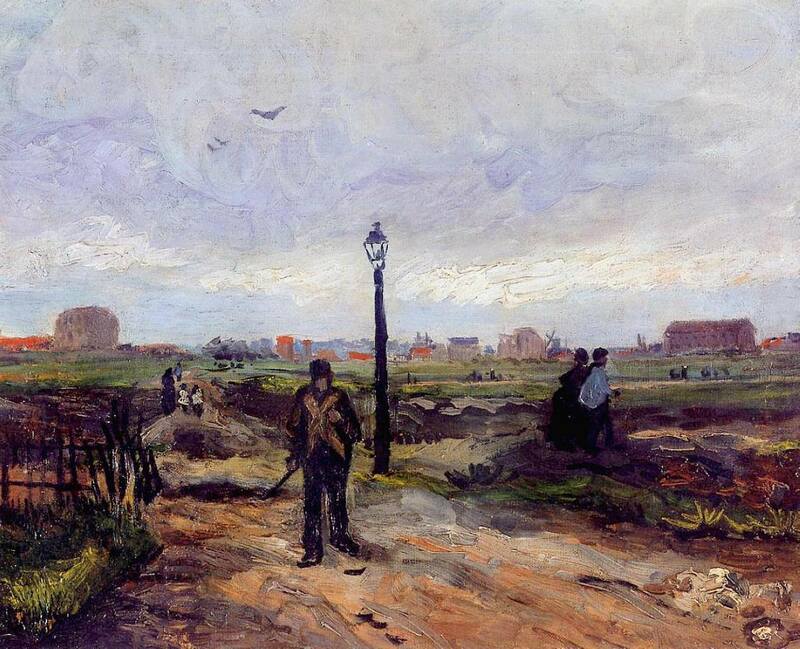 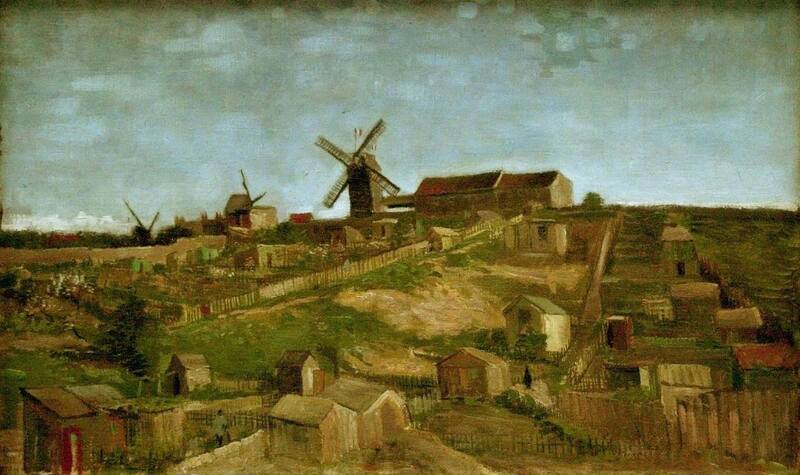 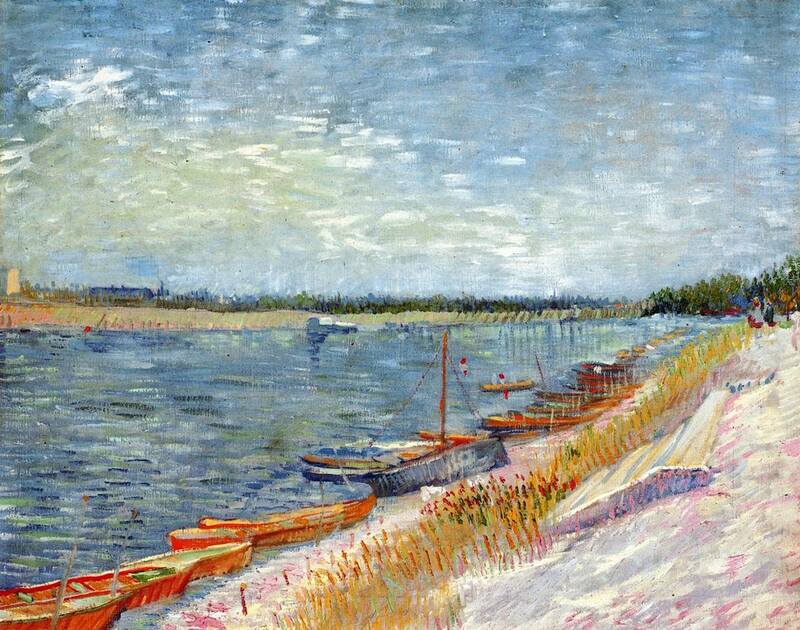 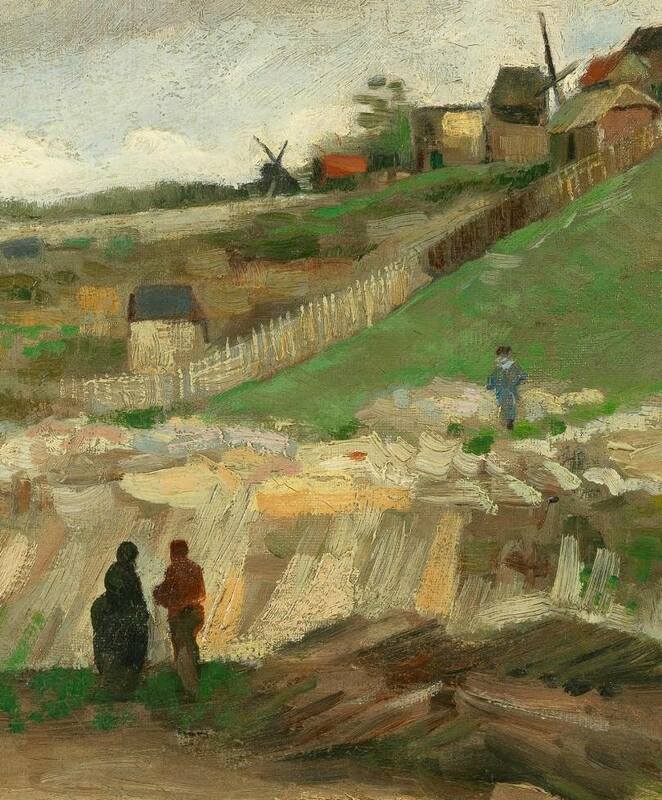 Ten years later, after his peregrinations had taken him to Ramsgate, Isleworth, Dordrecht, Amsterdam, Brussels, Drenthe, Nuenen and Antwerp, Vincent moved back to Paris. 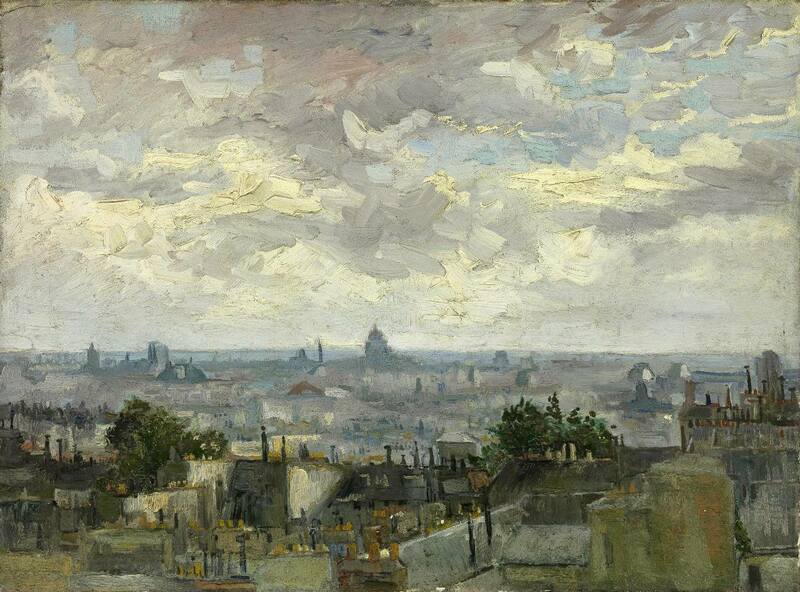 By then, he had developed as an artist and sought to hone his life drawing skills at the studio of the artist Fernand Cormon. 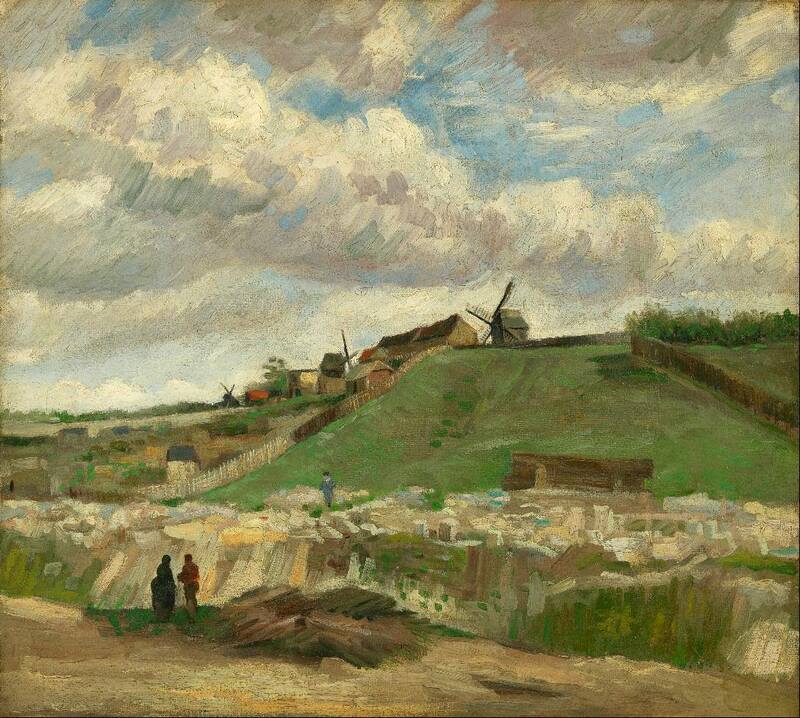 This time, Vincent lived with his brother Theo, a manager at Boussod, Valadon & Cie (the successor to Goupil & Cie). 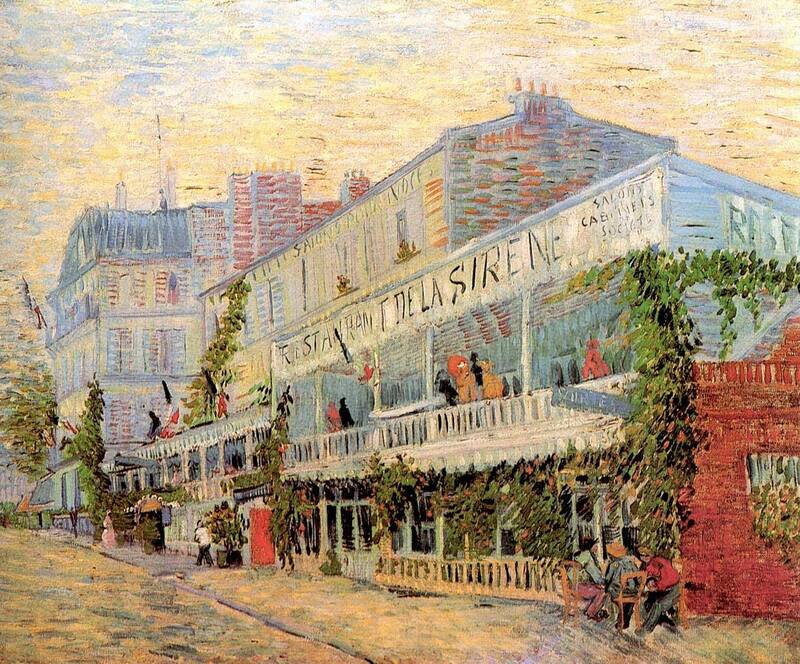 In Paris, Vincent acquainted himself with the work of the Impressionists, struck up friendships with artists such as John Peter Russell, Émile Bernard, Henri de Toulouse-Lautrec and Paul Signac, organised exhibitions, advocated for an artists’ association, and began building an art collection with his brother. 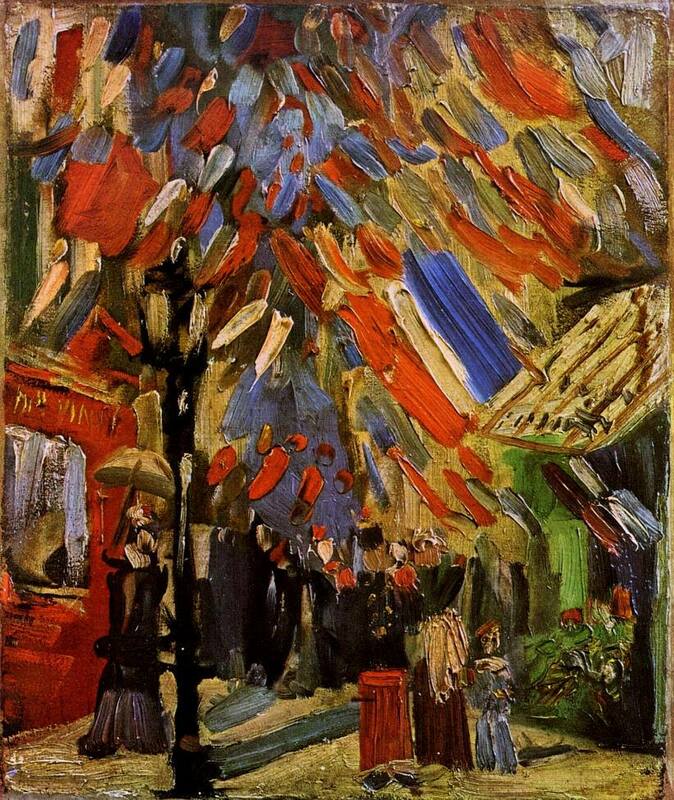 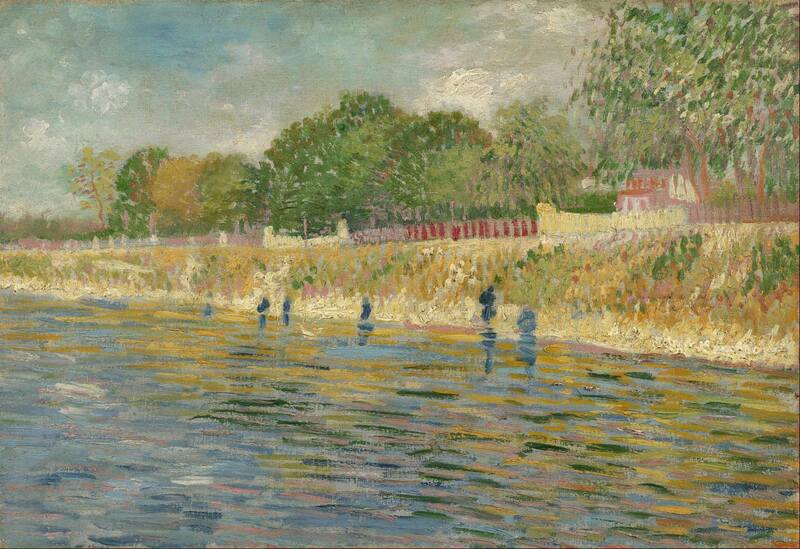 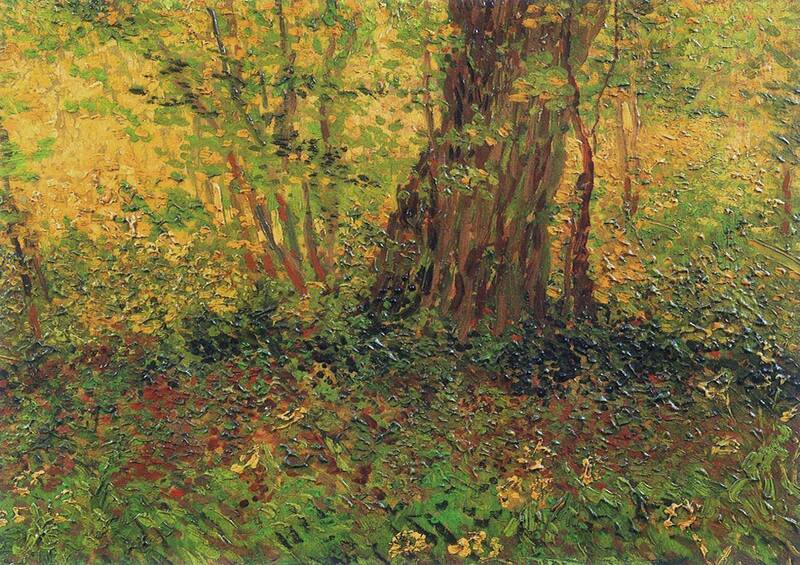 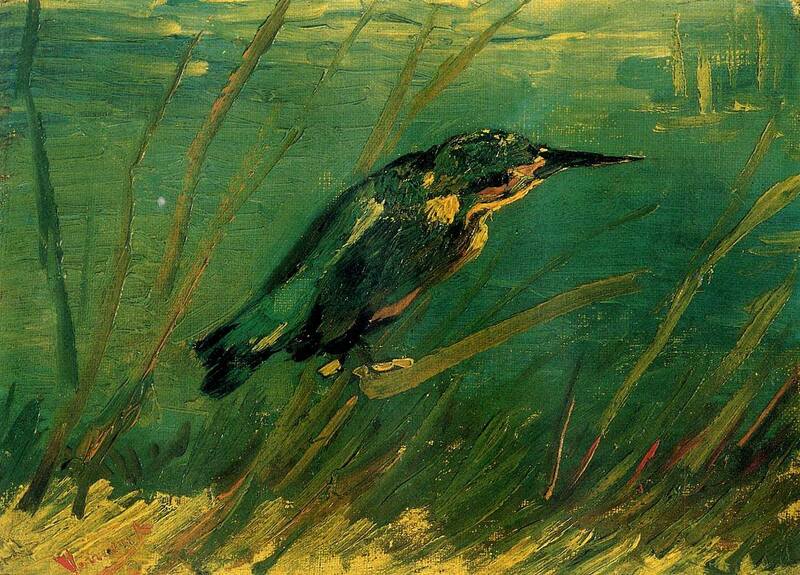 His work changed markedly during this time; he began using brighter, lighter colours and experimenting with different painting techniques. 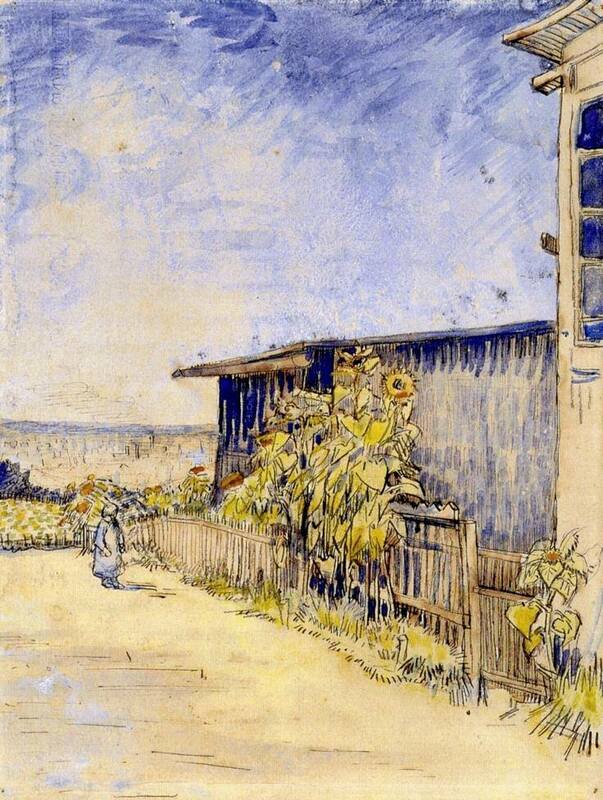 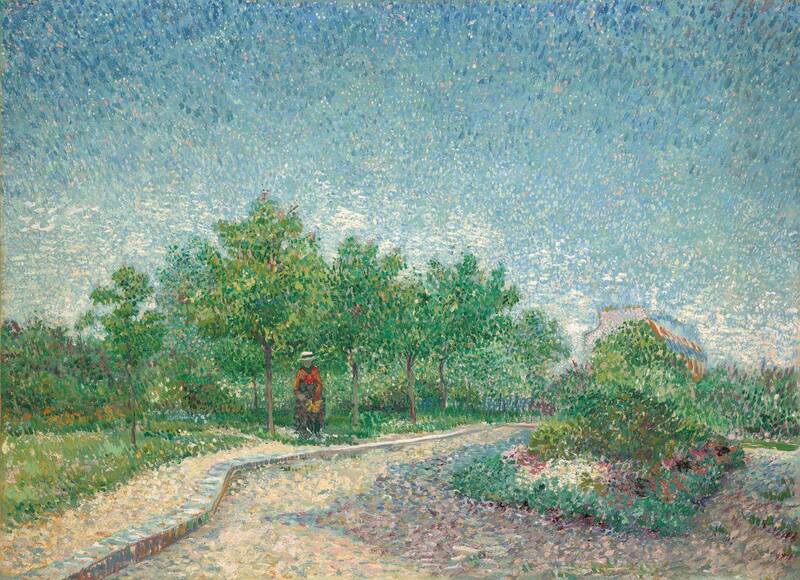 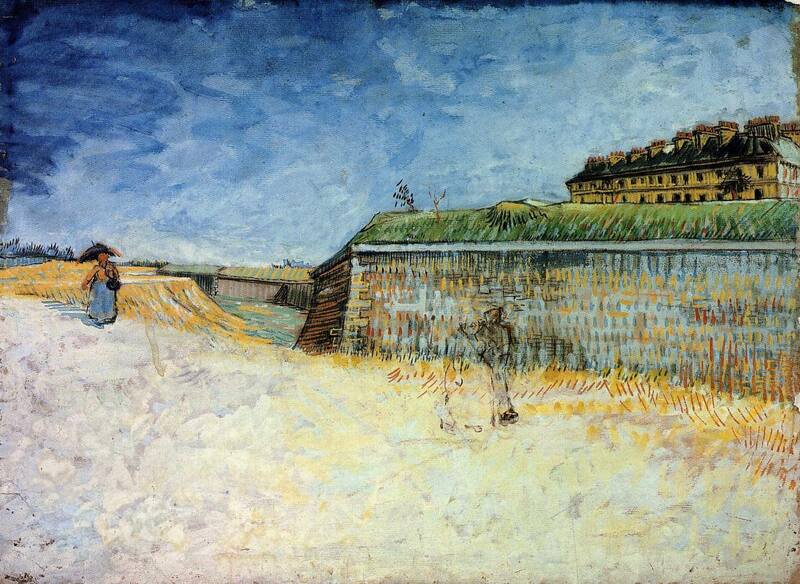 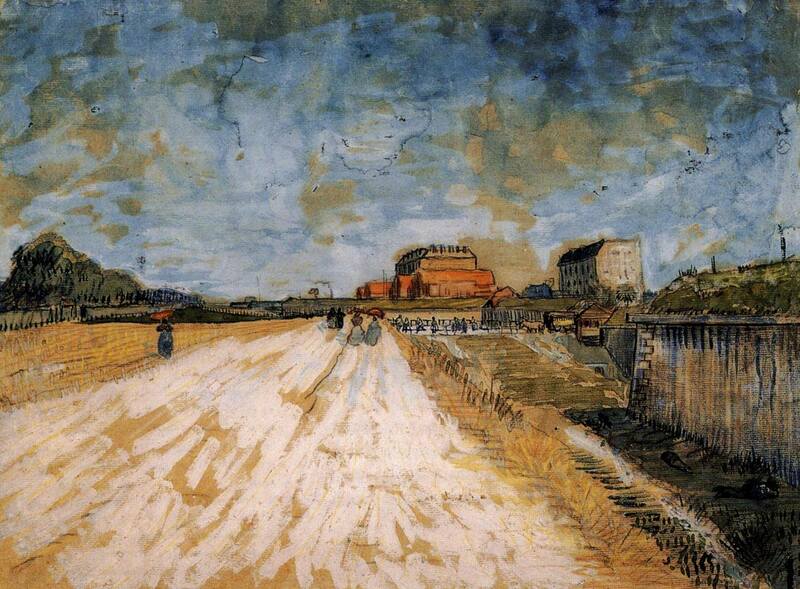 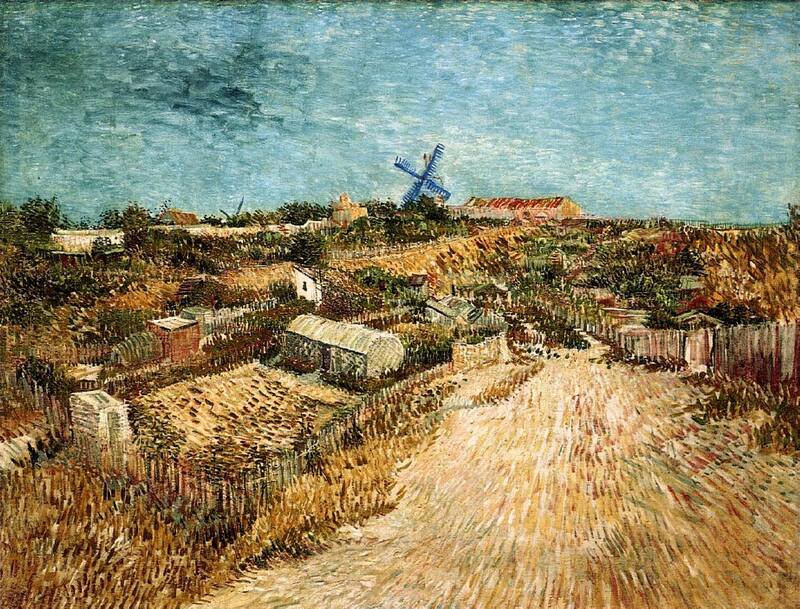 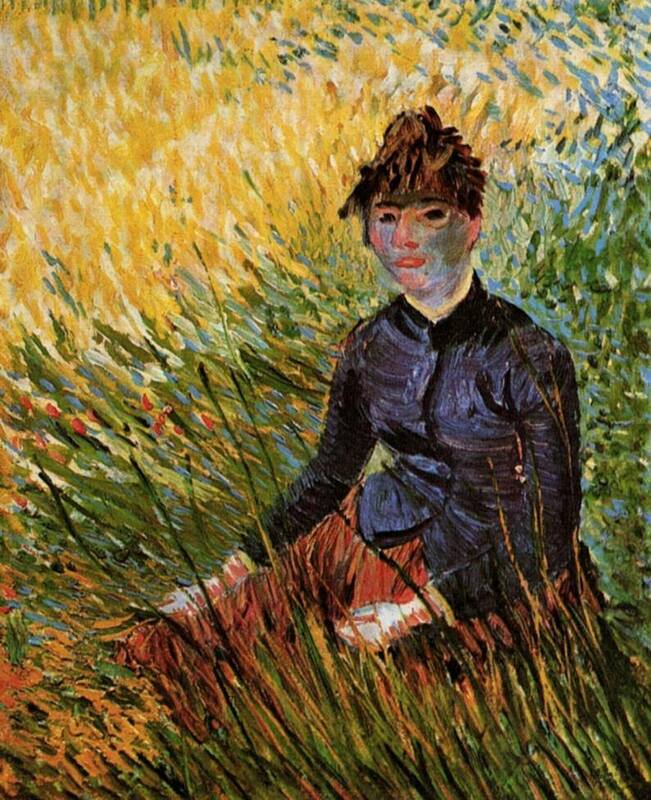 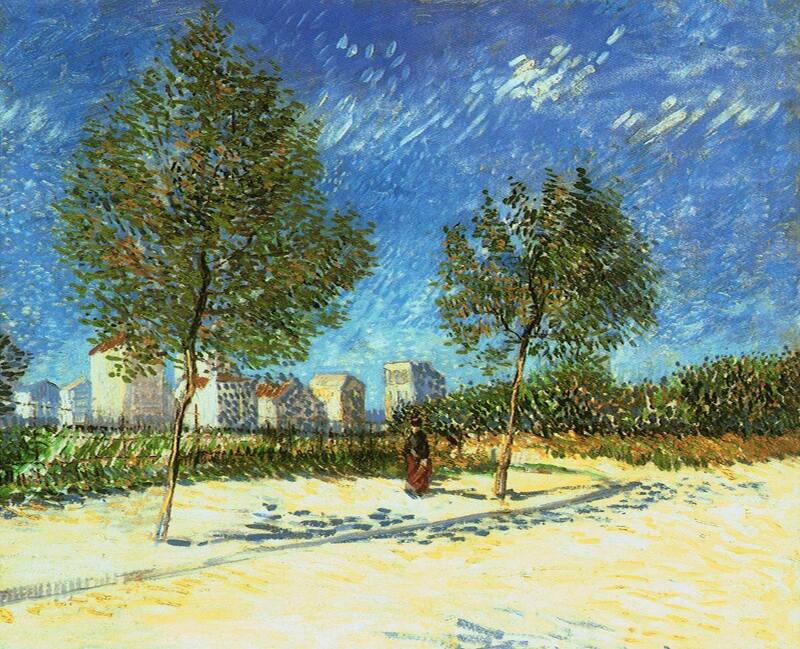 Vincent enjoyed Paris at first, but he found urban life stressful, and after two years, he abandoned the city for sunny Arles in the south of France. 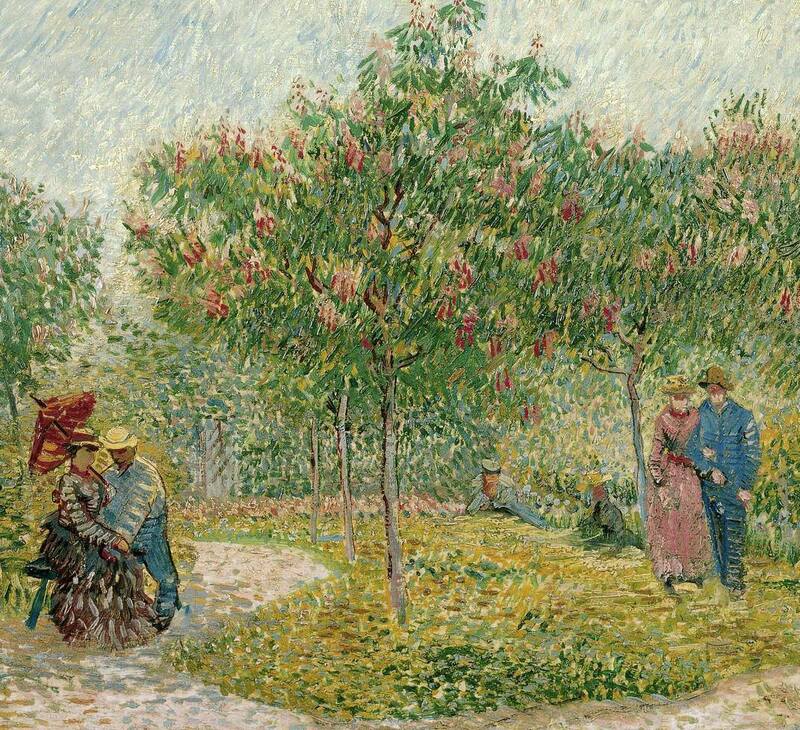 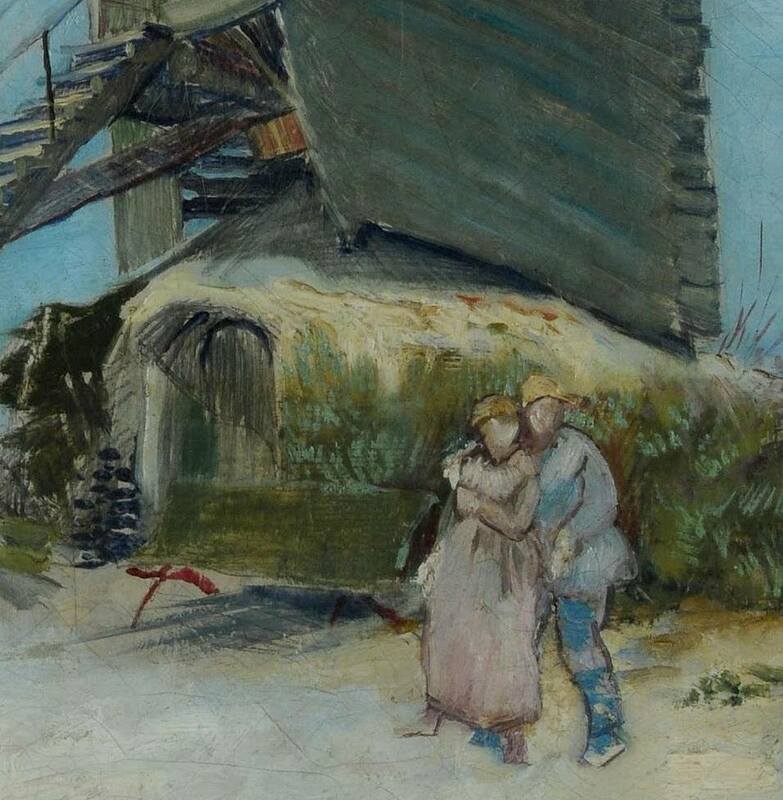 Ai primi di marzo del 1886, Vincent Van Gogh si trasferisce improvvisamente a Parigi e, per due anni, alloggia in casa del fratello Théo, direttore di una delle succursali della galleria Boussod, Valadon & Cie.
Alla fine del 1886, dopo aver frequentato per un breve periodo di tempo la bottega di Cormon dove apprende a ritrarre i nudi e dove entra altresì in contatto con molti artisti, in particolare con Toulouse-Lautrec ed Emile Bernard, Van Gogh decide di lavorare da solo. 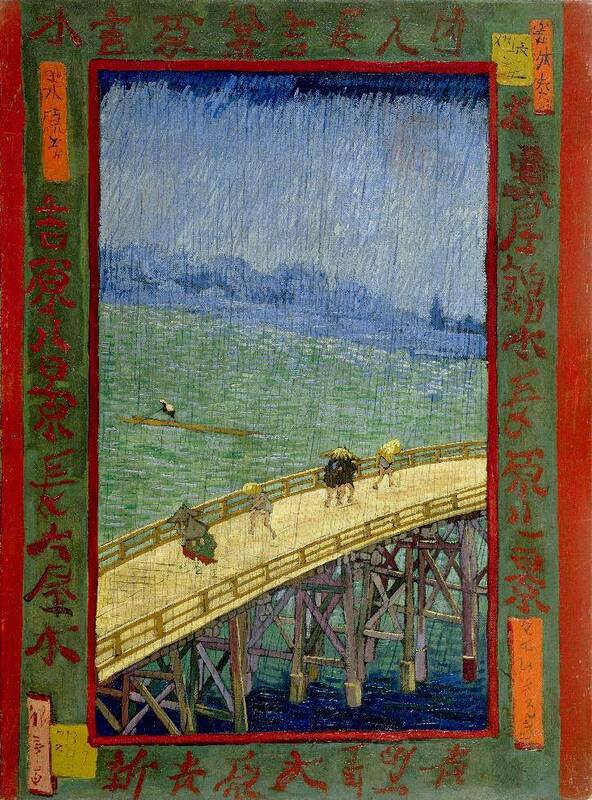 Questo fatto comporta una rapida maturazione del suo stile che evolve verso l'impressionismo ed il neoimpressionismo e in cui si fa strada un chiaro e netto influsso dei maestri giapponesi. 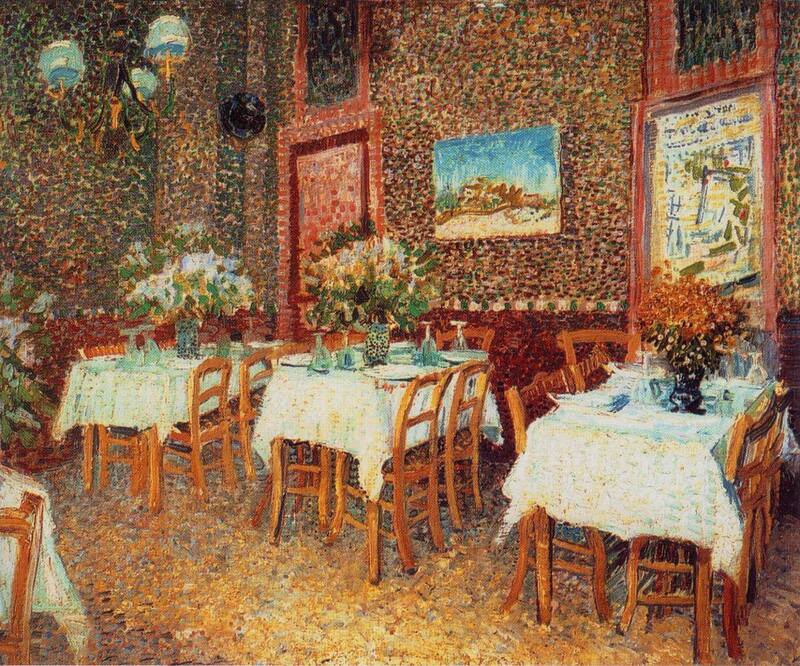 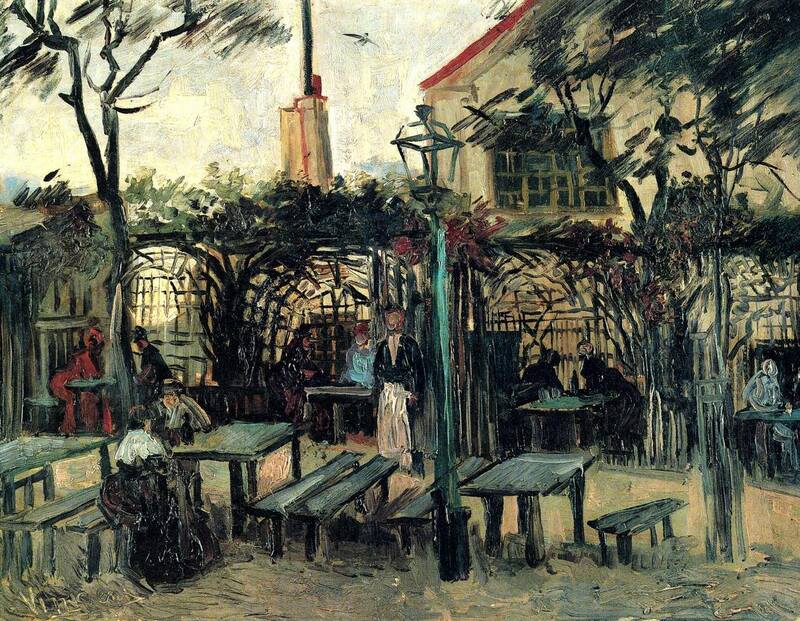 Van Gogh attinge i suoi motivi d'ispirazione in armonia con le sue aspirazioni artistiche in un'area molto circoscritta che comprende Asnières, Clichy, la Butte Montmartre ed i suoi caffè. 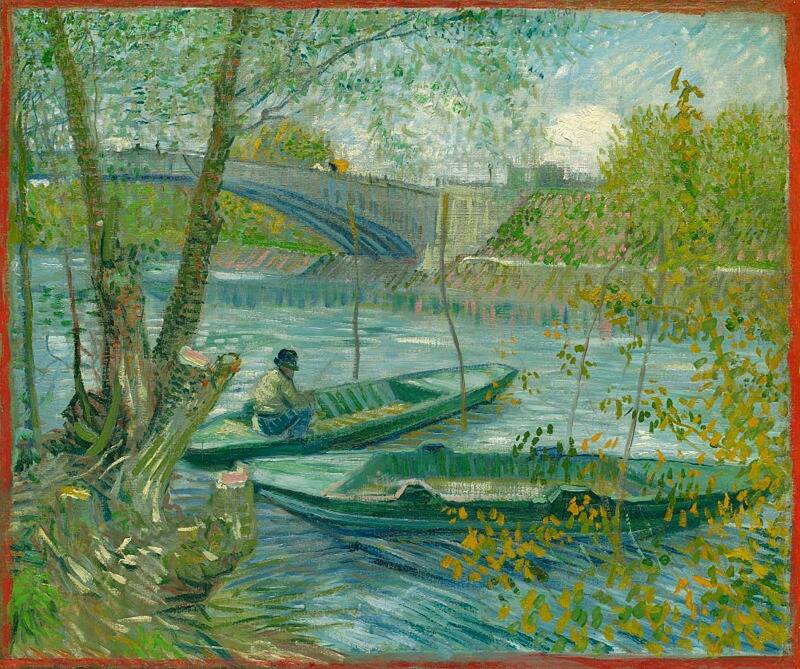 Se il passaggio da una tavolozza scura all'utilizzo di colori più chiari si rivela in tutta la sua evidenza, non per questo Van Gogh può essere considerato il discepolo di una "Scuola". 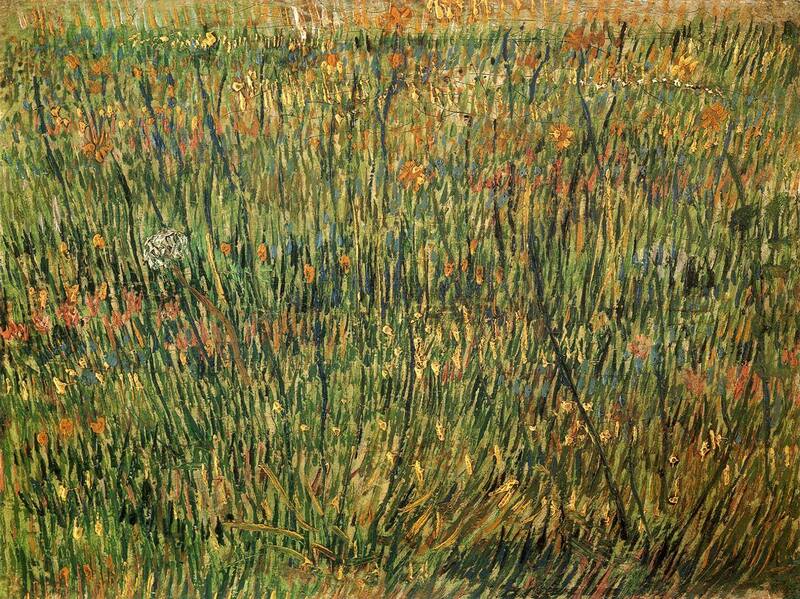 Egli, tuttavia, sviluppa rapidamente l'elaborazione di un proprio specifico linguaggio pittorico.